Home Sci-Tech Combination of Weight Training and Sport Massage can Eliminate Lactic Acid Content? Combination of Weight Training and Sport Massage can Eliminate Lactic Acid Content? 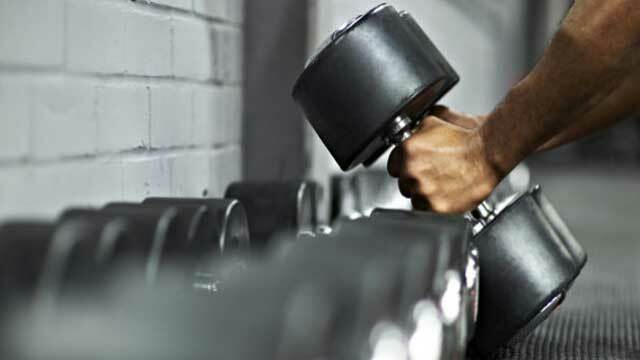 Weight training is a general type of strength training to develop the strength and size of skeletal muscles and is known as resistance exercise. This workout is suggested by fitness experts because it can reduce the risk of injury1. Every physical activity including weight training can generate free radicals which ultimately cause oxidative stress. Regular exercise can provide a shield against this stress by amplifying antioxidant defense system, but; heavy weight training for longer duration can produce imbalance among free radical production and antioxidants which is termed as oxidative stress2. Standardized exercises such as resistance exercise should be performed to reduce the negative effect of oxidative stress. Accordingly; to boost physical condition of the 200 m runners; weight training is mandatory. Therefore; antioxidant enzyme content like glutathione peroxides (GPx) should also be assessed to check levels of oxidative stress. Main source of energy is anaerobic latticed in 200 m runners which produce high amount of lactic acid3; which ultimately lessen pH in body fluid. Consequently; performance of oxidative enzyme in muscle cells is disturbed to hamper the production of ATP4. To overcome this situation; sport massage should be done for immediate recovery after doing workout to abolish lactic acid in muscles; which will ultimately enhance the athlete’s performance5. Therefore; Novita Sari , Aznan Lelo, Ambrosius Purba and Diky Setya designed an experiment to check the impacts of both weight training and afterwards sport massage, on variation in glutathione peroxides (GPX) and lactic acid eradication in the 200 m runners. Accordingly; scientists employed the experimental procedure with pre and post test design by engaging twenty students, who were not 200 m runners to fulfill the inclusive and exclusive criteria, taken by utilizing random sampling method. Students were divided into 2 groups: WT+SM (Combination of weight training with sport massage) group as well as WT-SM (weight training without sport massage); for 8 weeks with the frequency of exercise three times a week. Scientists found that combination of weight training with sport massage provided satisfactory outcomes in amplifying the glutathione peroxides and reducing the lactic acid concentration in the 200 m runners as compared to weight training only. Westcott, W., 2009. ACSM strength training guidelines: Role in body composition and health enhancement. ACSM’s Health Fitness J., 13: 14-22. Escribano, B.M., I. Tunez, F. Requena, M.D. Rubio and R. De Miguel et al., 2010. Effects of an aerobic training program on oxidative stress biomarkers in bulls. Vet. Med., 55: 422-428. Astrand, P.O. and K. Rodahl, 2003. Textbook of Work Physiology, Physiological Base of Exercise. McGraw-Hill, New York. Hall, J.E., 2015. Guyton and Hall Textbook of Medical Physiology e-Book. Elsevier Health Sciences, New York. Wiltshire, E.V., V. Poitras, M. Pak, T. Hong, J. Rayner and M.E. Tschakovsky, 2010. Massage impairs postexercise muscle blood flow and “lactic acid” removal. Med. Sci. Sports Exerc., 42: 1062-1071.